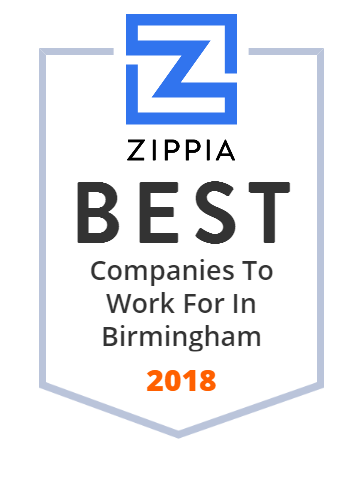 We hand-curated a list of the best companies to work for headquartered in and around Birmingham, AL using data on salaries, company financial health, and employee diversity. Highland Capital Holding Corporation operates as a life insurance brokerage company. The company offers executive compensation, business succession, estate planning, employee benefits, retirement planning, and asset management services. It serves institutional and retail life insurance markets. The company was incorporated in 1997 and is based in Birmingham, Alabama with additional offices in Alabama, Arizona, California, Connecticut, Florida, Georgia, Hawaii, Illinois, Indiana, Kansas, Maryland, Massachusetts, Mississippi, New Jersey, North Carolina, Pennsylvania, Tennessee, Texas, Washington, and Wisconsin. As of January 4, 2005, Highland Capital Holding Corporation operates as a subsidiary of National Financial Partners Corp. Protective Life Corporation is a life and other insurance company that has been providing quality insurance benefits packages for over a 100 years. At this company, they view each customer as a friend for life, which helps create trust between the company and their customers. Infinity Auto is dedicated to high-quality service and excellence for customers. Infinity Auto has ranked in the top 50 Property and Casualty insurance companies in the US , so you know that they are committed to their mission. Despite the general trend in the coal industry in recent years, Drummond Company has defied the odds by establishing themselves as a global leader. With a strong emphasis on innovation, they're primed to hold that distinction for years to come. Motion Industries's mission is to keep your industry in motion. To fulfill their mission, Motion Industries offers industrial supplies and services to keep everything running. They are dedicated to corporate resposibility since their beginning, 65 years ago. Tracing its roots all the way back to 1859 and active in its current state since 1969, UAB is the only public institution offering a four-year degree in the Birmingham area. EBSCO Industries, Inc. is a top sales company headquarted in Birmingham, Alabama. Since 1930, EBSCO has been a leading publishing acquisition company and includes historical databases, NetLibrary Databases, and more! Since 1945, Hibbett Sports has opened over 1000 stores worldwide. As a leader in sports shoes and apparel, they are known for providing good brands like Nike, New Balance, and Jordan. A wholesaler in the Birmingham area, American Pipe & Supply offers pipes, valves, fire sprinkler materials, and more. Since 1946, Robins & Morton has been a leading construction company in the US Headquartered in Birmingham, Alabama, Robins & Morton is ranked in the top three for healthcare contruction. Brasfield & Gorrie, LLC is one of the United States's largest privately held construction firms, providing general contracting, design-build, and construction management services for a wide variety of markets. The company is skilled in construction best practices, including virtual design and construction, integrated project delivery, and lean construction, but is best known for its preconstruction and self-perform expertise and exceptional client service. Founded in 1964, Brasfield & Gorrie has 12 offices and approximately 2,600 employees. Its 2016 revenues were $2.4 billion. Engineering News-Record ranks Brasfield & Gorrie 30th among the nation's “Top 400 Contractors” for 2017. Modern Healthcare ranks the company third among healthcare general contractors in the nation. CRC Group is one of the largest wholesale providers of property and casualty insurance in the U.S. Our over 2,400 employees in 81 offices nationwide placed nearly $6.7 billion in premium last year.